Get ready to take your baking skills to a whole new level. For the most passionate cake, cookie, and bread enthusiasts of the world, there’s nothing more terrifying than finding out you—or someone you love to bake for—can no longer eat the gluten that is key to those dishes. However, there’s absolutely no reason gluten intolerance should prevent you from digging into the baked goods you know and love, especially now that gluten-free alternatives to the standard baking ingredients are readily available in every grocery store. 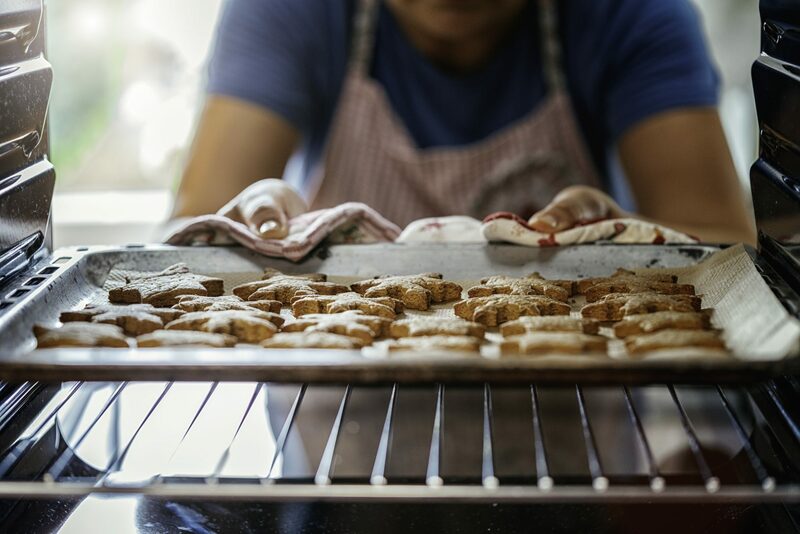 Whether you have a serious gluten allergy, or are just trying to cut back on your gluten consumption for dietary reasons, learning how to master the art of gluten-free baking can take your oven skills to a whole new level. With these ingredients, tips, tricks, and recipes you’ll be eating all the gluten-free bread, cake, pies, and pastries your body can handle in no time. One of the biggest adjustments when starting the gluten-free baking journey is grappling with the overwhelming amount of flour options, and figuring out when and how to use each. While beginning gluten-free bakers might want to stick to an all-purpose gluten-free mix, as you become more skilled you can start playing around with combining your favorite wheat-free flours to produce different textures and tastes. Although there are seemingly endless varieties of gluten-free flour options on the market, these are some of the major players to keep an eye out for, as well as some key binding ingredients to bring your recipes together. All-purpose – This approachable alternative to the standard all-purpose flour generally claims to be a one-to-one replacement for wheat flour. While this won’t be true for all recipes, these flours are a great jumping off point for beginners. Some great options include Bob’s Red Mill 1-to-1 Baking Flour, King Arthur Measure for Measure Flour, and Cup4Cup Gluten Free Flour. Almond flour – This flour, made from raw almonds that have been ground down to a fine powder, is protein-packed and has a nice, subtly nutty flavor. Other nut flours available include hazelnut, macadamia, chestnut, and pistachio flours. Arrowroot flour – With origins going back to the Native Americans, who used this ground root to heal arrow wounds, arrowroot powder is best used for thickening up mixtures like fruit fillings, sauces, and rouxs. Rice flour – This smooth flour, made from ground rice, is a great thickening agent that will help your gravies and sauces perfectly mimic their original recipes. Coconut flour – This powder, made from dehydrated coconut meat, has become increasingly popular thanks to its pleasant toasted coconut aroma and taste. This flour tends to absorb lots of moisture and a little goes a long way, so when it comes to baking with it you’ll typically want to reduce the flour amount and increase the wet ingredients. Quinoa flour – This protein-packed powder is a great addition to gluten-free baked goods in small doses, given its slightly bitter taste and ability to add lots of density. This flour is great for making slightly savory baked goods, like savory scones and zucchini bread. Sorghum flour – This flour is a popular substitution for wheat flours, given its similar texture. Though it can take on a slightly bitter flavor, sorghum makes a great substitution in recipes like breads and pancake batters. Tapioca flour – This finely ground powder made from a dried root, also known as tapioca starch, is a popular option for gluten-free substitutions. Use it in combination with other flours to reach just the right consistency to mimic traditional wheat flour. Teff flour – This unique flour, which acts as a great binder, becomes almost gelatinous during baking and has a rich flavor, making it a great option for wetter recipes like banana bread. Xanthan Gum – Despite its scientific-sounding name, this common ingredient can be found in many products, from frozen foods to toothpaste, acting as a stabilizer. That means it helps to bind ingredients together and make sure the consistency stays the same over time. 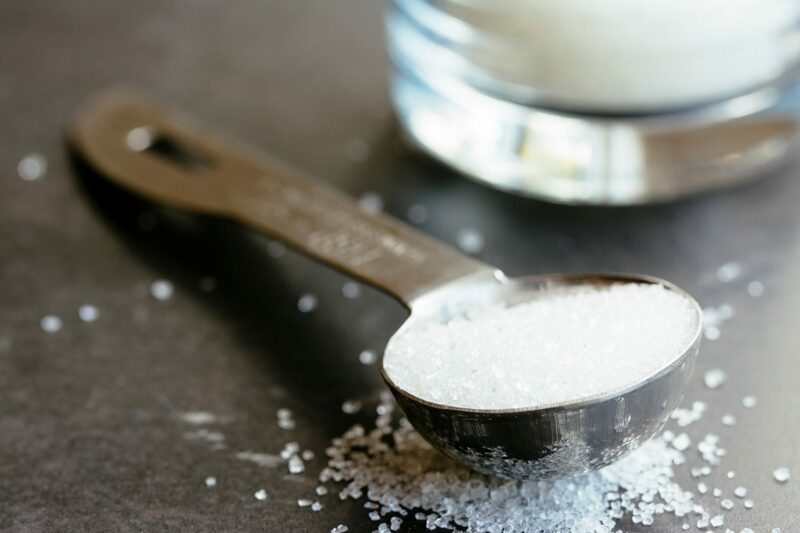 A small addition (half a teaspoon, or less) of xanthan gum to your gluten-free baked goods can help to effectively bind your doughs and batters. Guar Gum – This binding ingredient, made from the dried and ground seeds of the Indian guar plant is a common ingredient in many varieties of foods—not just the gluten-free kind—thanks to its ability to easily and effectively bind ingredients together. Stick to the recipe (to start). If you’re just beginning your gluten-free baking journey, start by strictly following recipes that are made to be gluten-free to get a basic idea of the kinds of ingredients and ratios typically used in these recipes. After you feel confident enough, then you can begin to adapt your own recipes, and to play around with the formulas. Invest in a kitchen scale. When it comes to scooping and measuring out gluten-free flours, you’ll find that each variety acts differently. With different textures and degrees of fineness, simply scooping out a cup and leveling it off won’t result in consistent baked goods. Instead, invest in a kitchen scale and begin measuring your flours by weight, rather than volume. As a rule of thumb, for every cup of flour in a recipe, substitute 140 grams of your gluten-free flour blend. Keep an eye out for binders. If you’re relying on a 1:1 all-purpose gluten-free flour mix as a substitute, make sure to check the label to see if there’s a binder—like xanthan gum—included in the flour. If not, you’ll have to add your own for the majority of recipes. Get friendly with trial-and-error. When attempting to convert your favorite baked recipe into a gluten-free option, sometimes you’ll have to play around with ingredients to achieve the right flavor or texture. Do some trial-and-error testing with different kinds of flours in your favorite baked goods, accepting that some of your experiments are doomed to fail. While this will take some time and dedication on the front end, once you’ve found the perfect flour blend for your go-to cake or brownie recipe, it’s all smooth sailing from there. Don’t be afraid to mix … a lot. Unlike traditional wheat flour recipes, which warn against overmixing, gluten-free batters tend to perform better when mixed longer and more thoroughly than the standard batter, as the mixing helps them to develop more structure. Since there’s no gluten in the recipe, you don’t have to worry about overdeveloping the gluten, which is the typical concern with overmixing. Let your batter rest. While gluten-free baked goods get a bad rap for tending to be on the grainier side, one way to counteract this texture is to let your batter or dough to rest for at least a half hour before baking, allowing the moisture to be properly absorbed by the flour and prevent the separation that results in graininess. Don’t trust the typical visual cues. Though traditional baked goods can be monitored by eye, taken out when the outside is firm and the toothpick through the center is dry, the starches in gluten-free goods act differently. This is because these starches do the majority of their setting during the cooling process. So, rather than following your eye, follow the exact timing and temperature instructions for the recipe the first time you make it, and invest in an oven thermometer to guarantee your appliance is heating to the right temperature. Don’t necessarily believe the all-purpose myth. While many gluten-free all-purpose flour blends will claim to be a cup-for-cup replacement for all-purpose wheat flour, it won’t work in every kind of recipe. Particularly in yeast bread dough, these all-purpose gluten free flours aren’t going to result in a satisfying end result. For bread and other yeast recipes, you might want to opt for a flour that’s made for one specific purpose, like a Gluten Free Bread Mix, Pizza Crust Mix, or Biscuit and Baking Mix. Cool properly, on a rack. Certain common gluten-free baking ingredients, like xanthan gum and starchy flours, can result in a slightly gummy texture. This is because both of these ingredients love to retain moisture, trapping steam inside your baked goods instead of releasing it. To counteract this, transfer your hot baked goods to a rack to allow them to cool from all sides, rather than leaving them in the warm pan they were baked in. Get some designated bakeware. For those who have a serious gluten allergy, or are baking for someone with a serious allergy, buying some designated gluten-free cookware that never interacts with gluten is a great way to guarantee a safe and healthy eating experience for everyone. There’s no need to give up any of your baked breakfast favorites when you go gluten-free. Start your morning on a sweet note with some Gluten-Free Banana Bread, Fruit of the Forest Muffins, Bittersweet Chocolate Scones, or Glazed Golden Raisin Cinnamon Rolls. Perfect for celebrations of all kinds, these cakes are the perfect substitute for your standard wheat-filled affair. Keep it classic with a Chocolate Layer Cake, Spiced Carrot Cake with Cream Cheese Frosting, Vanilla Angel Food Cake with Berry Compote, or Lemon Cake. Or, get a little adventurous with a Caramelized Pineapple Upside-Down Cake, Spiced Caramel Bundt Cake, or Peaches and Cream Mini Cupcakes. Become the gluten-free hit of the bake sale with these easily shareable recipes, from cookies like Kitchen Sink Oatmeal Cookies and Chewy Caramel Apple Cookies, to chocolatey Ultimate Unbaked Brownies and Mocha Cream Brownie Wedges with Fresh Raspberries, to crowd-pleasing Pecan-Pumpkin Cheesecake Bars and S’more Bars. Make your holiday spread more gluten-free inclusive with sweet and satisfying recipes like Maple-Pecan Pie, Cherry Tart with Almond Streusel Topping, Double-Banana Cream Pie, White Chocolate Raspberry Pie, and Key Lime Cheesecake. Your gluten-free friends and family will appreciate you going the extra mile with specialty pastries like Fig and Pecan Rugelach, Struffoli, Whipped Cream Puffs, and Chocolate Chip Cannoli. Last but not least, you’ll want to master the recipes for some of your favorite gluten-free savory baked goods like Pepperoni Pizza, Feta and Spinach Calzones, and a brunch-ready Spinach, Bacon, and Cheese Quiche.